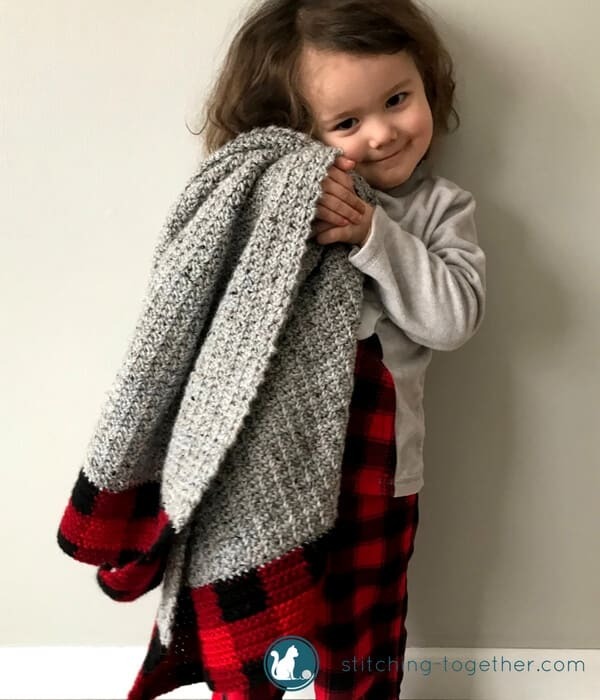 Below is the free crochet pattern for this adorable and trendy Buffalo Plaid Baby Blanket. You need to know how to chain, single crochet and change colors in order to complete this blanket. Purchase an ad-free PDF of this pattern. There are few things in life as exciting as a new baby! New life starting, new joys, new struggles, new depths of exhaustion and new heights of delight. So. Much. Potential. Making a cherished, and might I say, trendy, baby blanket is a wonderful way to welcome baby. 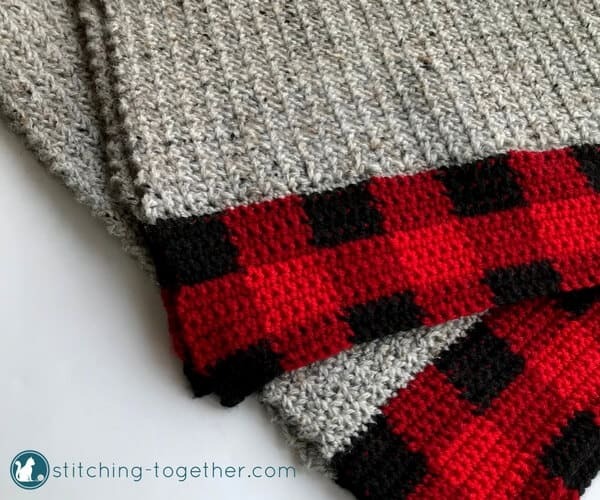 The border with the buffalo plaid is just single crochets with color changes! 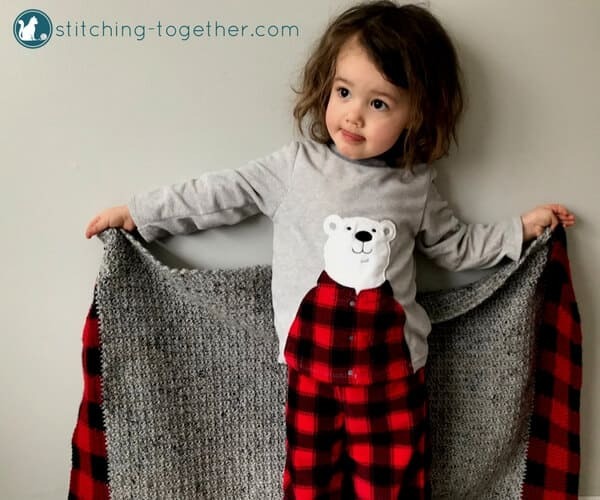 If the idea of all those color changes and carrying the yarn intimidates you, Whistle and Ivy has an online course (read, you don’t have to leave your house or get out of your jammies to learn) which teaches all things buffalo plaid! 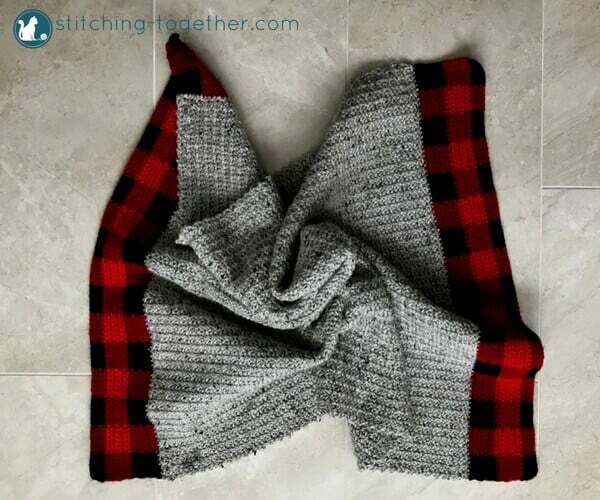 You will be a Buffalo Plaid Pro after taking the course and working through the 3 included projects. Check out all the details for the Learn to Crochet Plaid Course here. 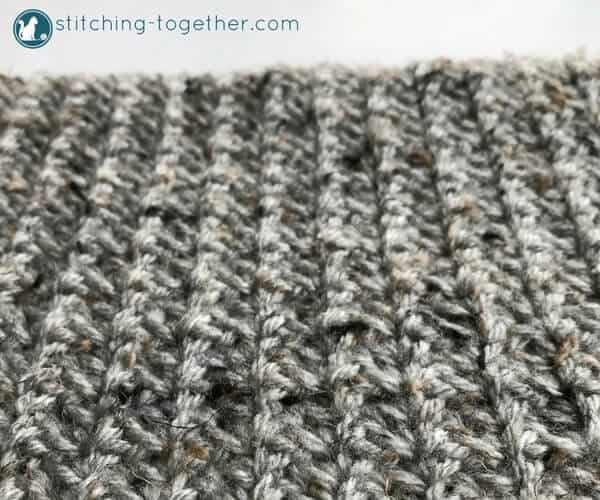 The spider stitch makes a very warm and dense fabric. In order to keep the blanket from being stiff I used a larger hook than would normally be used with this yarn. The large hook helps keep the blanket flexible but still nice, warm, and hole free. How cute would this blanket look with the Buffalo Check Crochet Pillow Cover? Let me know in the comments who you will be making this for! Links below are affiliate links which lead to Amazon. The body of the blanket (gray part) is made first with the buffalo plaid borders being added last. The body is made with a spider stitch which does not require chaining 1 to start the next row. See tutorial, How to Crochet the Spider Stitch. Check out these Tapestry Crochet Tips to see how to carry the yarn from row to row. Repeat border rows for the other side of the blanket. Bind off and weave in ends. 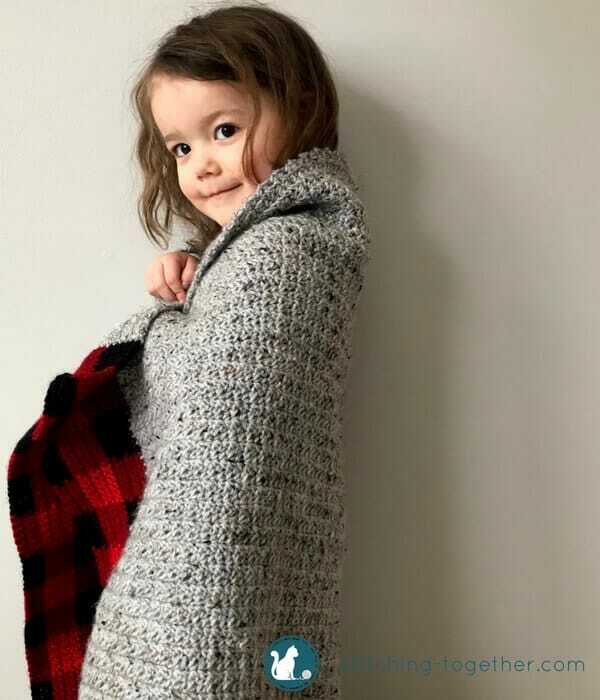 Looking for another baby blanket option? The Diamond Lace Crochet Baby Blanket may be up your alley! Use the photo below to save this on Pinterest! 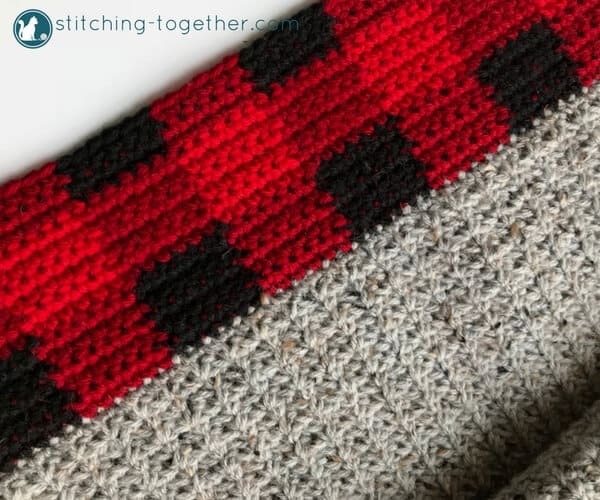 When doing the buffalo plaid border, do you carry all the colours through the first section or just the black and cranberry? Just wondering if I leave the Scarlett until I get to the part or if I need to carry it through the first bunch if plaid rows as well. Amanda, I just carry the colors I am using in that section, so the black and cranberry for the first section.